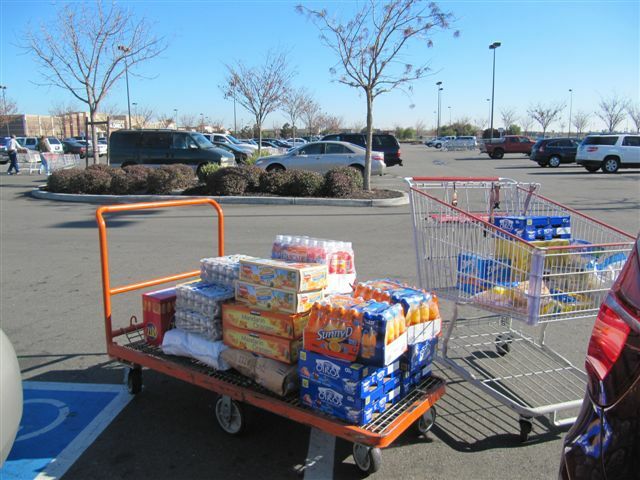 The flat cart (2 pix) is at Costco. The rest were taken at The Resource Connection food bank. It's a warehouse and we select items from the racks. 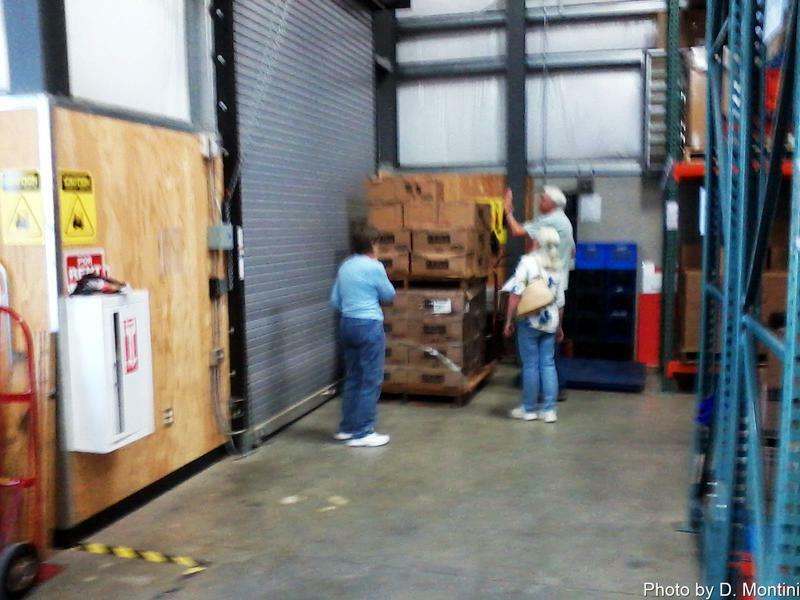 We have to load the produce, bread, and loose canned items into crates and boxes ourselves. 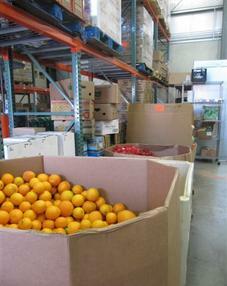 The last photos are of the truck loaded up and then ready to unload at the pantry. 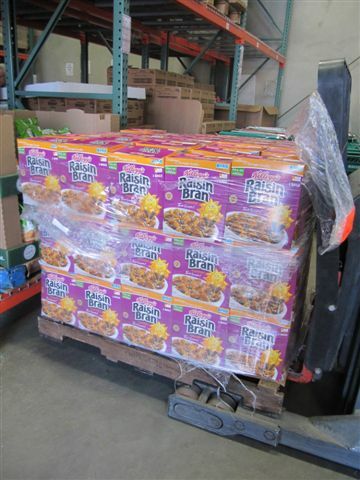 There is one shot of some of the food being weighed. 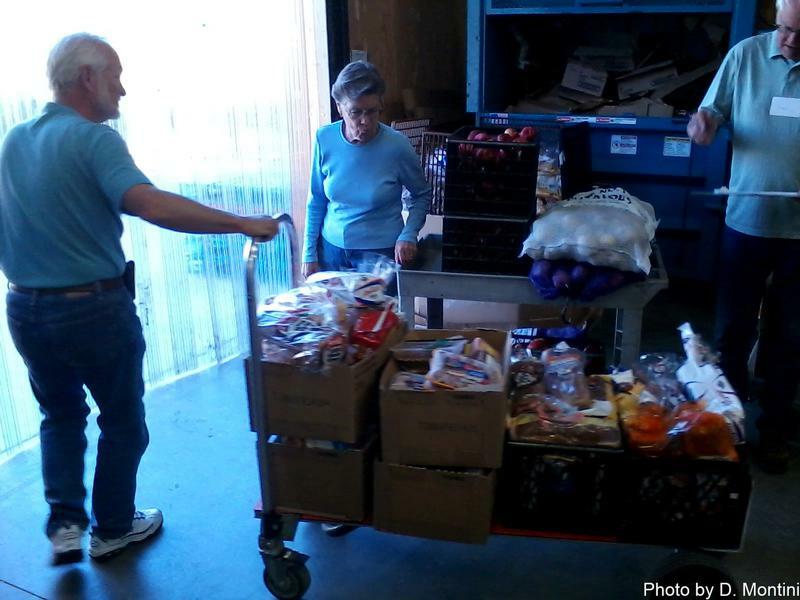 On Wed the 14th the Crawfords had a busy day collecting food to be distributed on the next pantry day. The following text and pictures explain the process. For the second year in a row Payless IGA has held a 'Help Fight Hunger' locally food drive to benefit the Copperopolis Food Pantry. For every $10 donation, Payless Market would fill a bag with $20 of IGA products. Thanks to the 151 people who puchased $10 vouchers, IGA was able to donate 2 full pallets of non perishable food the the local food pantry. 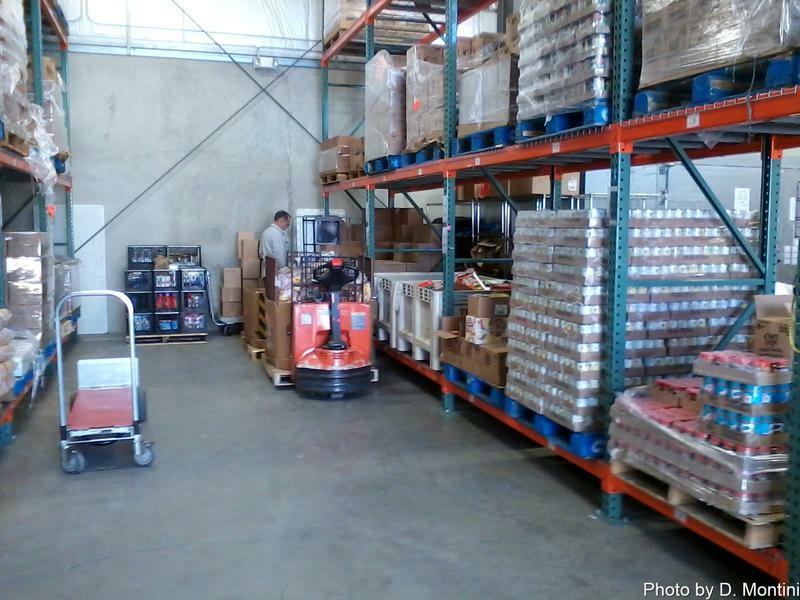 Each pallet can carry up to 15 cases of food. 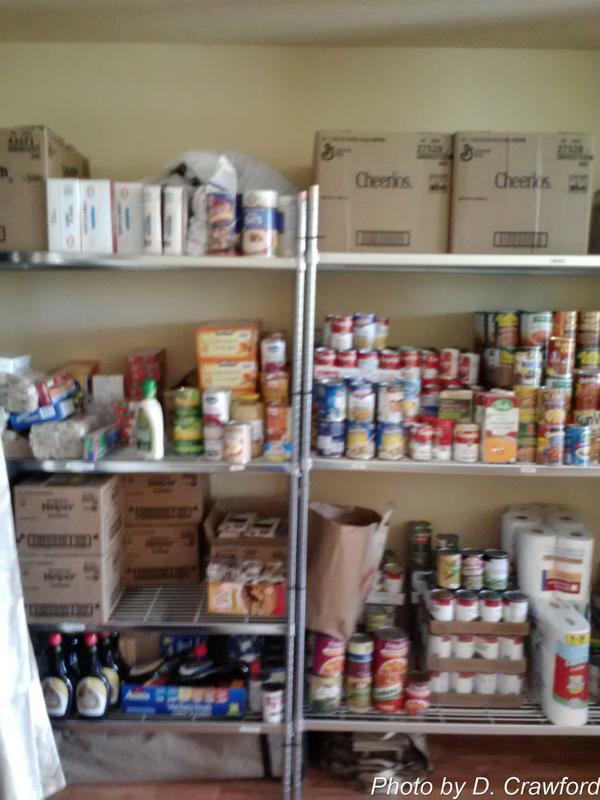 Manager Tammy Andrada is very proud of the program, feeling that it is important to help those in our community as well as to help restock the pantry shelves after the holidays. Payless IGA has long been a large supporter of the Copperopolis Food Pantry, thanking the community for their support and their business, which helps them in turn give back to our community. 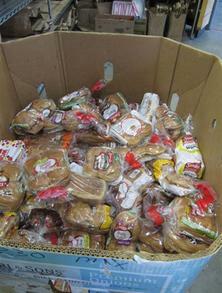 In February 2012 we had 35 families ask for food assistance. In February 2013 we had 52 families. 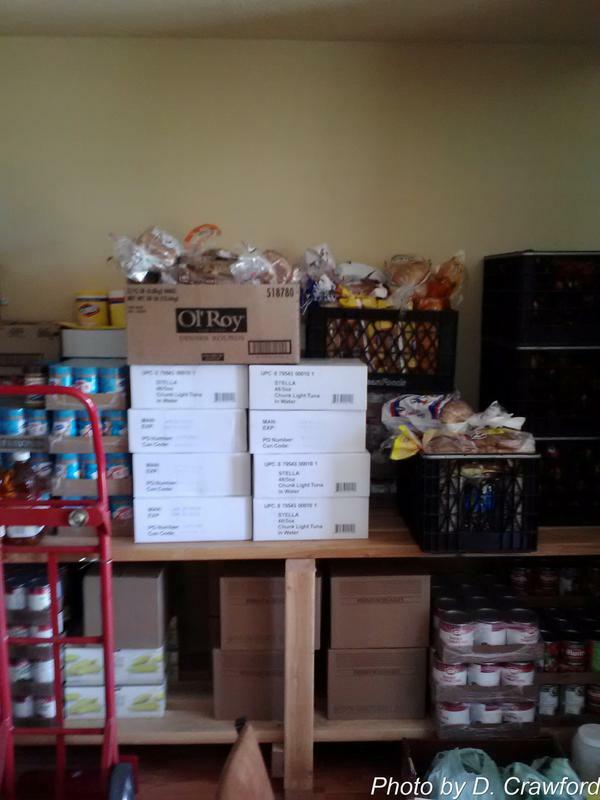 Yesterday, February 20, 2014, we had 62 families ask for food. That is a new record for the month of February. Is the economy getting better? Evidently in Copperopolis it is not. 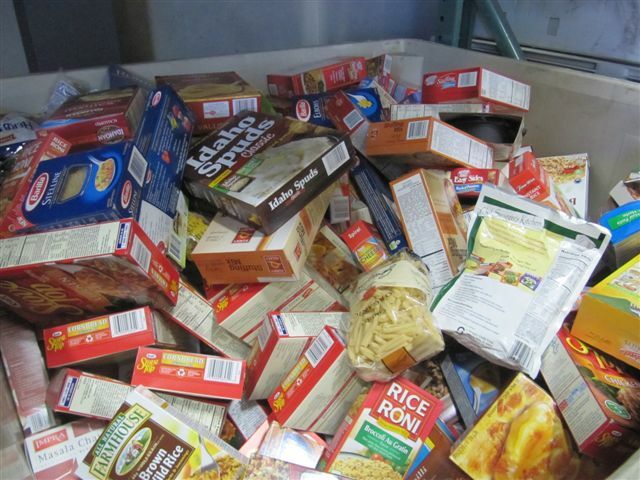 We have heard that food prices are going up this summer, but they are jumping at an alarming rate right now. We started the distribution day with our shelves and freezers full of food, and by the end of the day we had given out a majority of our supply while running out of some things completely. We anticipate doing a lot of shopping for basic items to keep up with the requests. On a positive note, we are glad that we are able to help so many people. All of this is made possible by the generosity of the people in our community who truly have a heart for helping others. 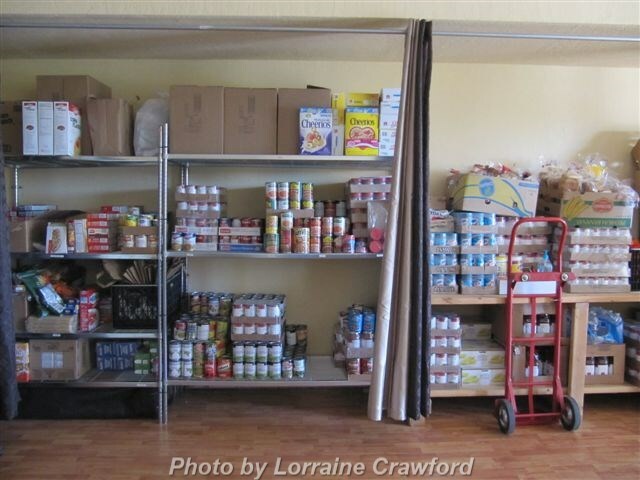 There is a non-food aspect to the pantry too: sometimes we give people a sympathetic ear or a shoulder to cry on and a prayer when they are going through some difficulty. We do more than just give out food. "We had a very warm day for the first day of Spring on 3/20/14. We were very busy until about an hour before closing. This shows how empty the shelves were at the end of the day. If anyone would like to donate food, some items that are always needed are spaghetti, canned fruit and veggies, and cereal. 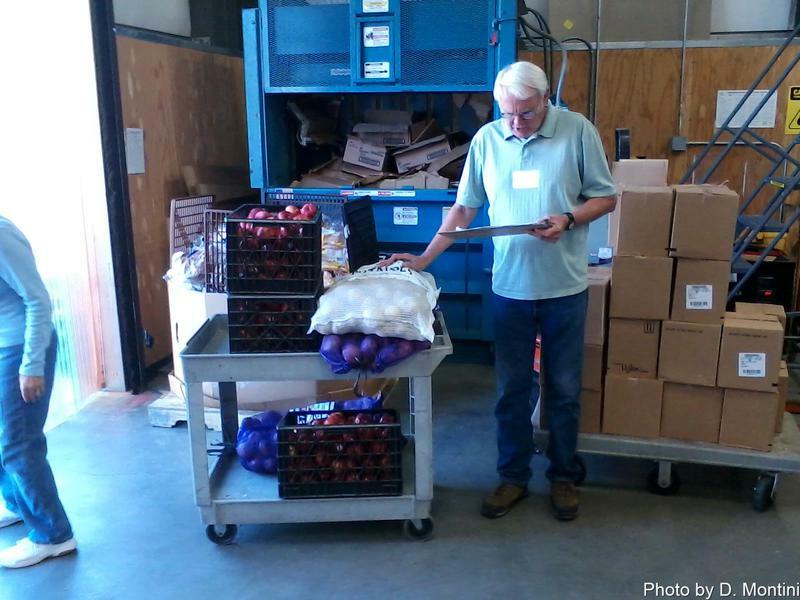 Prior to the Copper Pantry distribution day much preparation takes place. 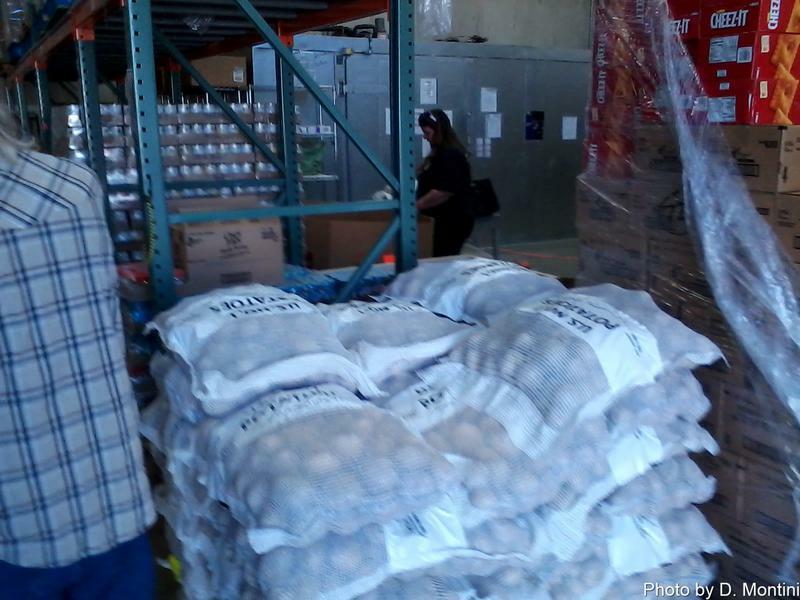 The Crawfords make trips to Costco in Manteca, SaveMart in Angles Camp and the Resource Connection Food Bank in San Andreas to gather all the food to be distributed. 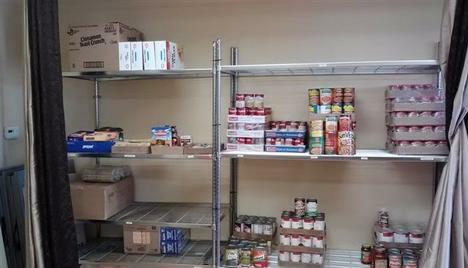 The following pictures are of the Resource Connection and "before" pictures of all the food on the shelves prior to distribution. 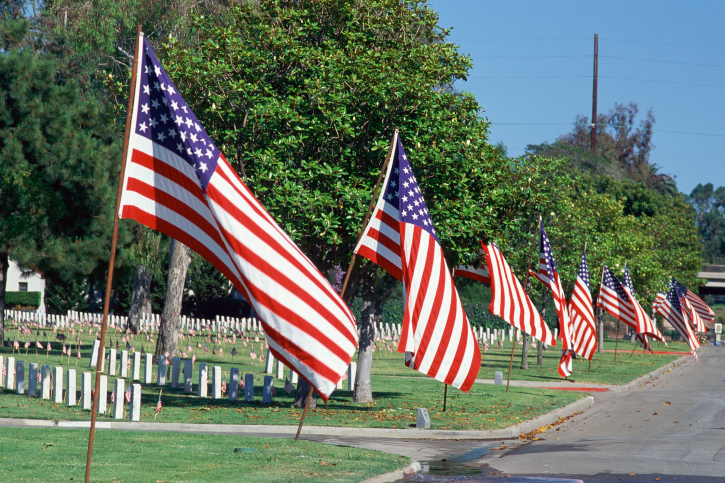 We had 54 families in April. At the Memorial Day weekend 'Fill the Boot' event for the Copperopolis Food Pantry held at the IGA parking lot and staffed by Copper Fire firefighters, food pantry volunteers and members of the VFW Post 12118, the mood was celebratory as car after car showed their generosity and support for our food pantry with their donations. 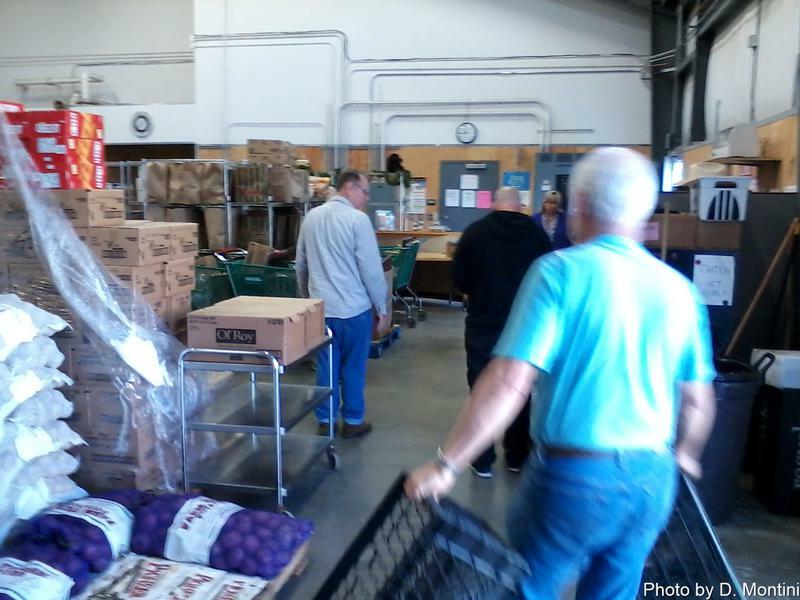 The Copperopolis Food pantry serves at any time between 50 to 60 families per month. The money raised through he fill the boot events "is the lions share of the annual budget," said pantry Director David Crawford. 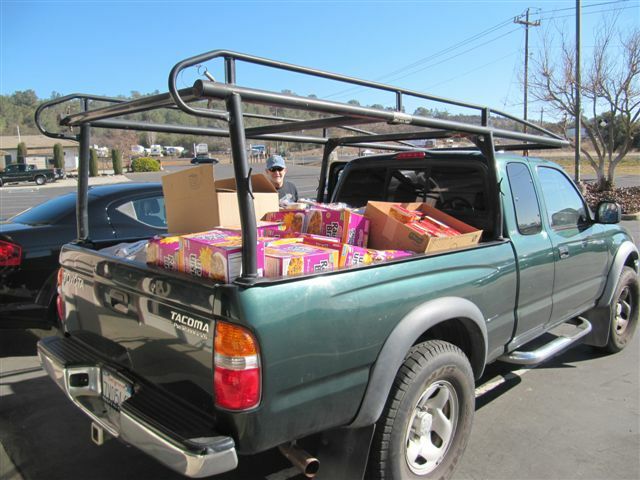 On Thursday, November 20, 2014, the Copperopolis Community Food Pantry distributed the makings for Thanksgiving dinner, turkeys and much more food to low-income residents. We had a wonderful group of hard-working volunteers who made it all happen. There were several areas set up with volunteers making bags for the special dinner items, another for the regular food, and another for the senior bonus bags. In addition we had pet food, produce, and of course the turkeys. We had a total of 82 families! All of this was made possible by the contributions from the Copperopolis community and all the volunteers who gave their time and effort. Thank you to all who helped!